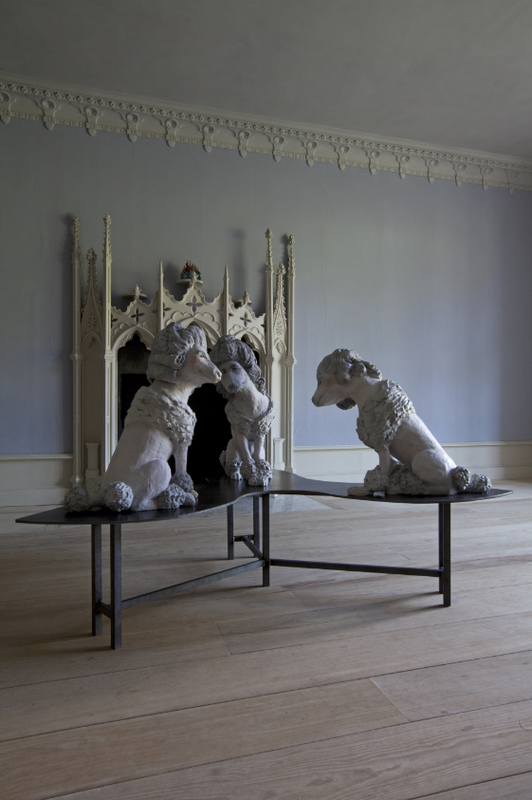 The 2010 exhibition ‘Horace Walpole and Strawberry Hill’ at the V&A was a wonderful celebration of the house, the collection and the collector so now imagine just quite how special this new exhibition is. You can feel the house responding to having over one hundred and fifty of its treasures within its walls once more with some in their original position. From the early 18th century Chinese tub in which Walpole’s cat Selima drowned accidentally to a clock that had belonged to Henry VIII and Ann Boleyn, it is a veritable pot-pourri of objects and pictures that fascinate and show the breadth of Walpole’s interests, many reflecting the historic style of the building. Paul Sandby (1731 – 1809) ‘Strawberry Hill chiefly taken in the year 1769 by Mr. Sandby’, c. 1769. Drawing Watercolour on laid paper with wash-line Courtesy of The Lewis Walpole Library, Yale University. I am deliberately not illustrating any of the objects on show because I think it is so, so important that, if you can, you should see them in situ and thus hopefully get a sense of both Horace and his remarkable creation. I implore you to do so! You will regret it if you don’t. The stuff of dreams. John Carter, The Tribune at Strawberry Hill, c. 1789. Courtesy of The Lewis Walpole Library, Yale University. Days of Judgement (Cats I-VII). 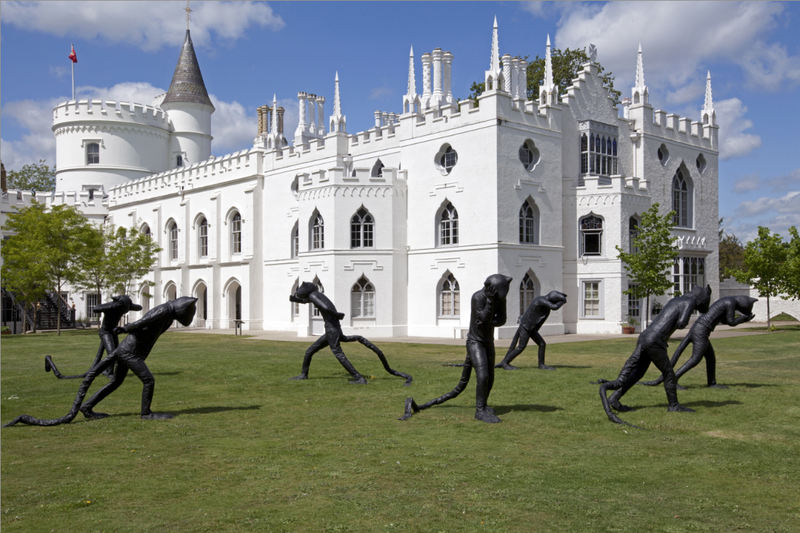 I must admit I have always been drawn to Strawberry Hill and Horace Walpole and so the double pleasure of seeing his country villa and this special exhibition of works by Laura Ford was too much to resist. 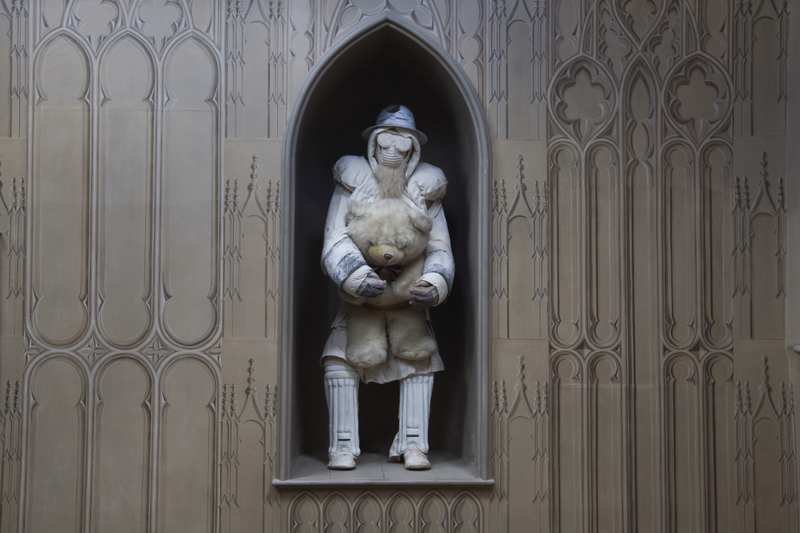 Strawberry Hill is one of the earliest examples of Gothic revival in this country and the series of whimsical spaces within the villas are ideal for Ford’s sculptures which are sometimes humorous and sometimes slightly sinister in appearance. The latter, of course, reflects perfectly Walpole’s 1765 novel The Castle of Otranto which is regarded as the first gothic novel – a genre that remains popular to this day as the recent British Library exhibition showed. 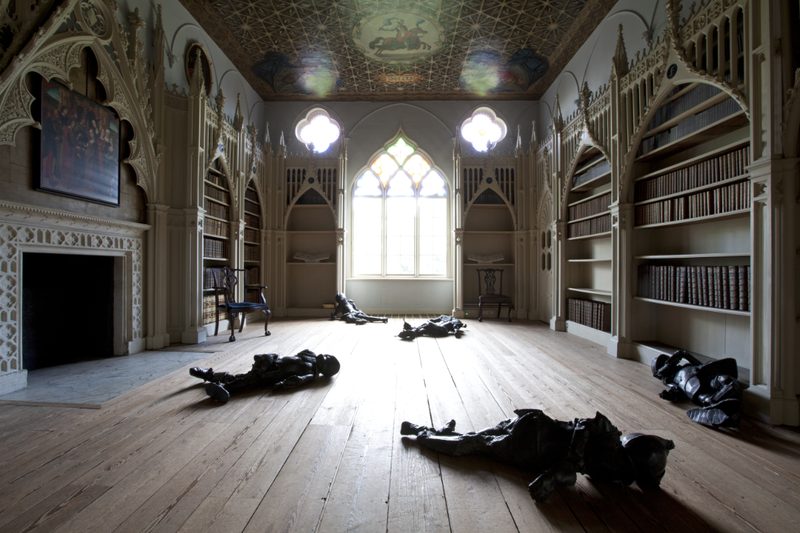 Indeed on your tour of the house you will see the room where Walpole first dreamt of the story. This is a very special exhibition, perfectly suited for the house. Thanks are due to Lord and Lady Cholmondeley, Houghton Hall; the New Art Centre, Roche Court; Lakeland Arts and Arts Council England for their support. Next year the exhibition can be seen at Blackwell Arts and Crafts House, Bowness-on-Windermere, Cumbria from 19 March – 4 September 2016. 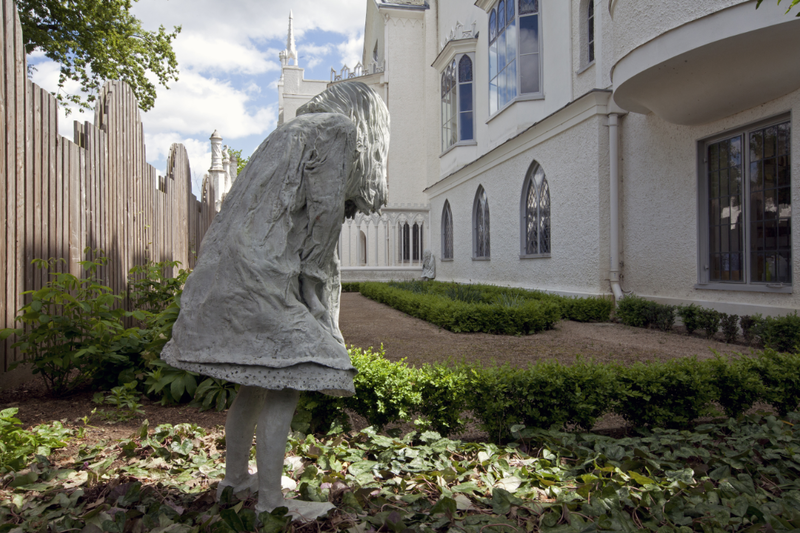 Weeping Girl III & II.